Central Plaza’s dining scene can be enjoyed at your leisure or on the move. From takeaway coffees to full-course meals, there will be a variety of service styles to cater for every need. 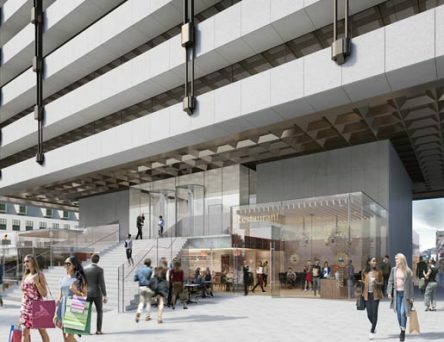 Ringed by cafes and restaurants, the plaza’s iconic tower will be a daily whirl of activity and the focal point of a new city centre food scene. Central Plaza adds extra flavour to an area that has already been designated as a place to go "for a better night out". Within a ten minute walk you have one of Dublin's greatest concentrations of hip cafes, creative cuisine and cool bars. are seven of these bright new spaces, all within footsteps of one another. The bigger units offer the added advantage of mostly south-facing outdoor terrace seating. Completing the scene is The Annex, a standalone two-tier restaurant with twin terraces and a truly distinctive look. Central Plaza’s iconic tower provides a high-profile setting for a food scene comprising 7 contemporary F&B units. Outdoor terraces totalling 2,700 sq ft and sleek glazed facades further enhance visibility and appeal. 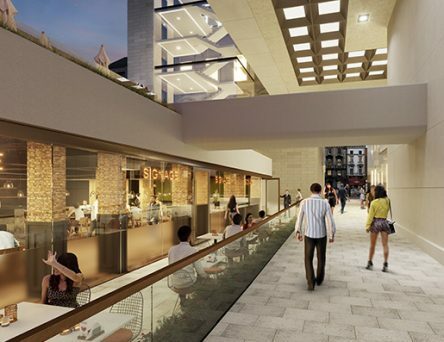 Located on a popular pedestrian walkway, this distinctive building provides 6,329 sq ft restaurant space over its three floors, augmented by inviting outdoor terraces and a corner kiosk.